Summary of most useful keyboard shortcuts. Take a printout for handy quick reference. If you are running Linux, chances are you are running SSH. Here are five easy things you can do to lock down your server and make SSH more secure. Includes disabling root logins, using keys to login, automatically blocking hosts who are attempting dictionary attacks, and more. ® are varied, from simple 2-D plots to 3-D surfaces, scientific graphics programming, and graphical simulation.There are many open source possibilities, including gnuplot, GNU Octave, Scilab, MayaVi, Maxima, and others. I recently came across this site called "Throw away your TV". It has tons of funny videos as well as educational ones. One feature I liked was, when I am watching something, if I go to a different browser tab, it actually detects it and stops playing the video, only to continue after I go back to it. It's like a digital luggage tag for your USB drive that pops up a message [via autorun] to notify the user that it's a lost drive. In the previous article about lost USB devices, author talks about AutoIt. I checked it out and it seems like a nice automation tool for Windows that can . There is also an informative Wikipedia article about it. 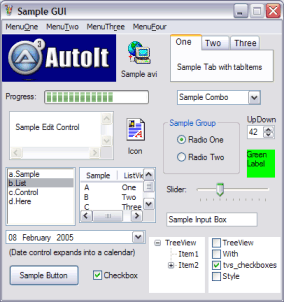 AutoIt v3 is a freeware BASIC-like scripting language designed for automating the Windows GUI and general scripting. It uses a combination of simulated keystrokes, mouse movement and window/control manipulation in order to automate tasks in a way not possible or reliable with other languages (e.g. VBScript and SendKeys). AutoIt is also very small, self-contained and will run on 95, 98, ME, NT4, 2000, XP, 2003 out of the box with no annoying "runtimes" required! You can even make compiled executable scripts that can run without AutoIt being installed! See 5000 years of history in 90 seconds flash animation at http://www.mapsofwar.com/ind/imperial-history.html. The official download on Microsoft's own page and not on some blogs or Yahoo. Some improvements over IE6 includes: New Interface, RSS Feeds, Phishing Filter, Protected Mode, Tabbed Browsing, and PNG support among many others. An excerpt from the annual White House Correspondents Association dinner. Comedian Stephen Colbert (one of my favorites) made humorous remarks about various current events and the relationship between the press and the White House. He also presented a video of a mock press conference which ended in a chase scene featuring long-time correspondent Helen Thomas. IBM has a short list of countries hat are leaders in the wired revolution. The U.S. makes the list, barely. Dive Into Python is a Python book for experienced programmers. You can buy a printed copy, read it online, or download it in a variety of formats. It is also available in multiple languages. Recommended eBook for anyone who wants to seriously learn Python. The main site also provides some good Python related websites. you can try other repositories. To make installation simple, I did not enable ssh. 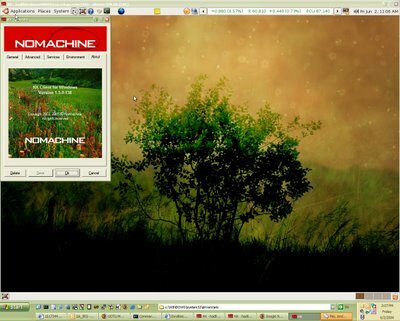 Then, I went to NoMachine's website & downloaded NX Windows Client. 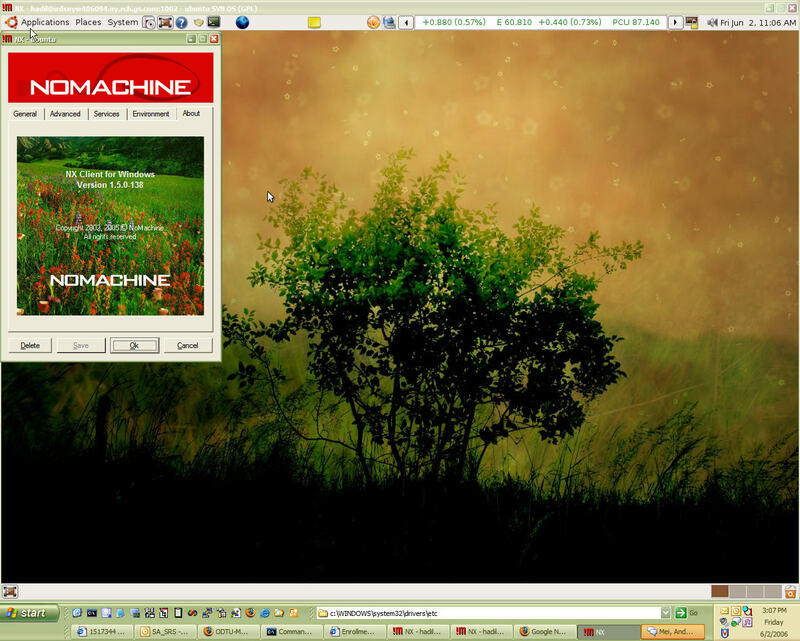 Result is a very fast & easy connection from Windows XP to Ubuntu Linux (see screenshot above). I chose No machine keys during the set up and it works just fine! NX> 105 NX> 504 Session startup failed. Over 20 free windows applications under 2mb, courteously of revision3 forum member, lordfoul. Definately a list to look into. Applications range from miscellaneous software, command utilities, system performance tools, and more.